When you are searching for windows to update your home or commercial property, you will need to find an expert who is willing to provide you with the utmost, high quality assistance. If it is for a new construction project, you may be feeling frazzled at all of the work that you already have to do. Fortunately, Intex Windows & Doors is one of the best in the industry, serving customers in the greater Los Angeles area. We have gone above and beyond for many individuals, families, companies and institutional settings. We approach it with the idea that not all projects are going to be the same, and have compassion for the situation at hand. One of the best things about shopping from Intex is that you can shop discreetly, and conveniently, from anywhere you’d like and at any time of the day or night. We have a full catalog with descriptions and photos that should go a long way in helping you to make an informed choice. There is a full line of fixtures that you can purchase from Intex Windows & Doors, which is ideal, since you will be able to shop just from one location instead of traveling from store to store. When it comes to Replacement Windows in Valley Village, know that you can rely on Intex to help you find the very best doors and windows that will be suitable. We also sell several types of hardware that go along with these fixtures. For Milgard Essence Windows that you will absolutely love, consider going through Intex windows & Doors. It is important that you know what you want when you are about to buy Replacement Windows in Valley Village. You can stick with the tried-and-true style of your current windows, or try something different out. Either way, you will be pleased with the effort put into curating the selection of doors and windows that are in stock. We have products that have been manufactured by some of the leading brands, including Jeld Wen and Milgard. Each of these brands has a series of fixtures that have different features and benefits to them. If you are concerned about your home environment, keeping heat and cool air inside while preventing the elements from coming indoors, you will love the fact that these products are energy efficient. They have been created using the strict ENERGY STAR guidelines, meaning that they are sure to be durable and last for many years. If there are any issues when you receive your doors or windows, or some problems develop after awhile, you can take advantage of the full lifetime warranty that we have put in place. 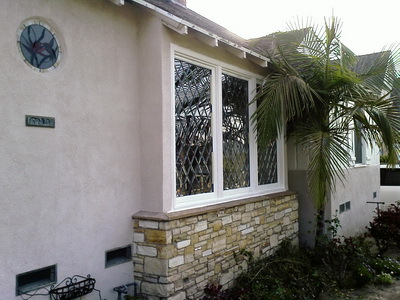 Before you go to have Replacement Windows in Altadena installed, you must find out if you will need to have a permit. Have all of this organized prior to putting in the windows, and you will be just fine. For great customer service every time, go through Intex Windows & Doors. Reach out by placing a phone call to us today to begin.